This yields 4 type of tasks each with a preferred response. The premise of the approach is simple: to be more productive you need to spend more time in the top of the matrix, idealy in the “decide” box. Time spend in the lower half of the matrix is not moving you towards your goals. There is a comical look at this approach to time management over on Wait, but why? These are tasks which contribute to your goals, of failing to tend to them will negatively impact your goals. There are also tasks requiring immediate attention. These tasks you see to personally and immediately. This can be a high-stress quadrant to live due to the time pressures. It is also a reactive state of being rather than a mindful one. The way to avoid spending all your time in this top left quadrant (firefighting) is to invest your time in the top right. 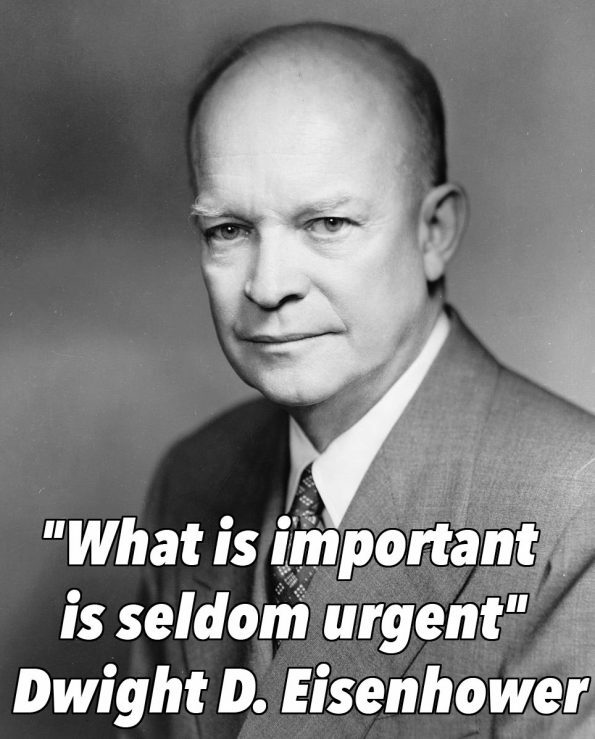 To be effective you need to schedule your time to work on important tasks. If you want to be more productive this is the high-value place to spend your time. It is often where our lofty goals sit, neglected. 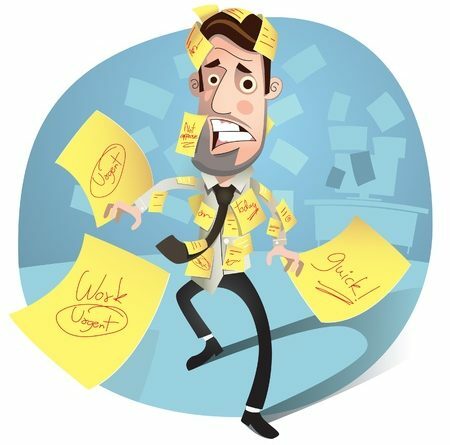 All the tasks you know you should be doing but can’t find time for right now. The way to create time to work in this space is by scheduling it. Scheduling your priorities on your calendar and then working on them ensure you devote time to them. This is how you escape firefighting mode. Exercise, planning and learning new skills all sit in here. This is where you can look to develop your team or your processes. Delegating tasks to your team builds their capabilities. Alternatively, you can look to optimise and automate some or all of the task. This is a zone where the focus should be on getting the quality just good enough. 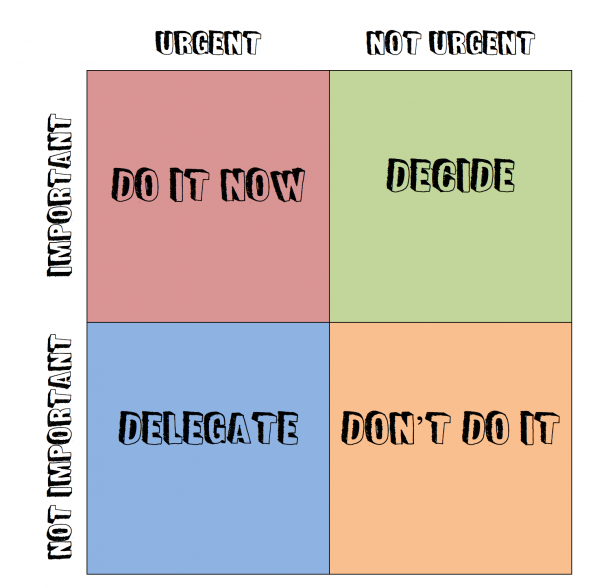 A note of caution for the delegation quadrant: many people spend time in here thinking they are in the do it now quadrant. If you are not making meaningful progress towards your personal or professional goals you are not in the top half of the grid. Ticking off 20 things on your to-do list might feel good in the moment, but it counts for nothing if they don’t move you closer to your goals. This section is not just for mindless browsing of social media. If you are spending time writing reports no one reads or collecting metrics no one is acting on then you are in this time sink quadrant. 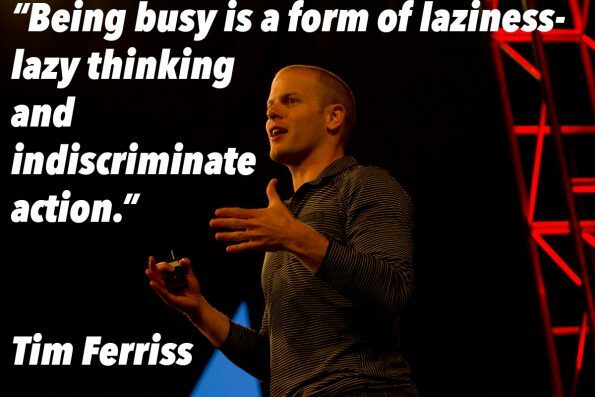 If oyu want to be more productive do not spend time in this zone.